I am on the search for the smallest motorhome/van Airstream has made. I found and have fallen for a 1975 Argosy 20', but it is about 10' longer than I want. Any advice or information on something smaller with a similar body shape? Thank you! Unless you go for a Van you are going to have to compromise your wants. Well the B190 was the shortest MH at 19', but the Argosy 20' is the shortest classic shape by 4'. Bare in mind a Argosy 20' has a 6' cockpit and 14' body so any smaller and it wouldn't function as a camper. Shortest, B190. Or maybe airstream Avenue. A 20' motorhome is 10' too long? A Honda Civic is 15' long, so you're asking for a motorhome that's 5' shorter than a Civic. In 1967 I saw a cube van. 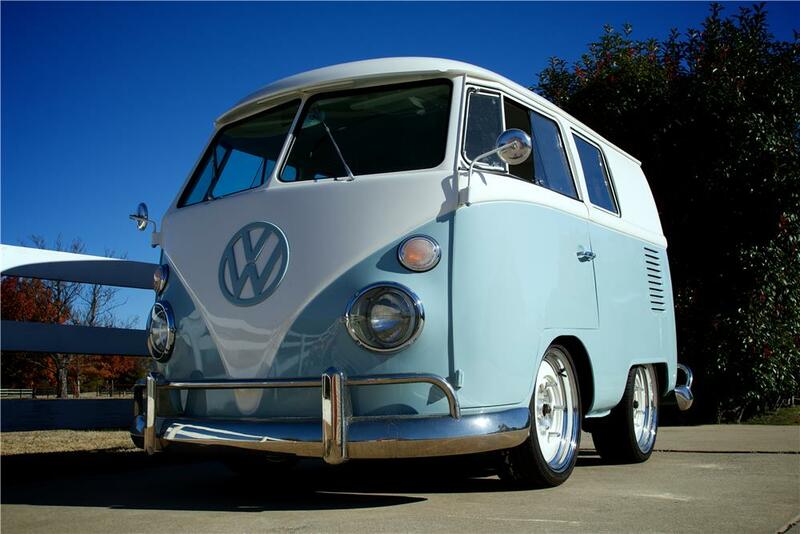 It was made by cutting a VW van in half and shorteni g it so much that the rear wheels were inches from the front. Cute as could be. And impractical! OMDGIH! Even too cool for a Shriner to own... cornering at over 15 mph probably wrecked most of them. Look for a thread with PEANUT in the title to see how cute a 20 is. though ....... maybe if it was 30' high with several floors. I did consider this myself at one point Nick, not as a camper but as a van (and a use for my donor camper). But the difference between a VW van and a classic is the VW has cab doors so you can effectively remove the center door. On a classic that is the only entrance so you would have to do something drastic. I was toying with the idea of hatching the rear and making a hauler for my bike so I could loose the door. Even with loosing another 3ft from removing the door you would have 8ft of body and 6ft of cockpit and a length of around 14ft. Hardly practical but pretty cool! I definitely would not start with a rare model like a 20ft, the same mods can be applied to a more common 28ft. I even had it booked in with the guys at Barillaro Speed Emporium before changing my mind! How about a camper in the bed of a Ford Ranger Or a Chevy Colorado ? Just remember the primary reason that the VW bus can be cut and shunted is the fact that it is a rear engine/transaxle. In getting a P-30 chassis shortened you are limited by the length of the engine/transmission and the minimum distance from the end of the transmission to the rear axle to allow for the travel of the rear suspension (in terms of the drive shaft). Maybe easier to drop a classic body onto a front wheel drive chassis!